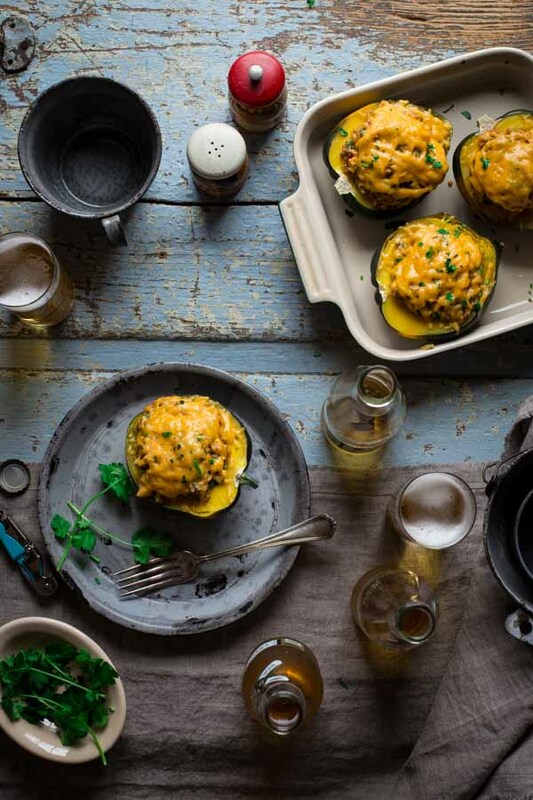 These Cheesy Mexican Quinoa Stuffed Acorn Squash take 30 minutes to make, and they are naturally gluten-free and vegetarian. A couple weeks ago, I had my annual check up, and my doc told me she wanted to check my Vitamin D levels. She explained that since we get zero sun at this time of year in Vermont, it’s fairly common for her patients to be insufficient or deficient in Vitamin D. Sure enough I was “insufficient” which is less severe than deficient. She prescribed a supplement. Another way to get Vitamin D is to expose your skin to several minutes of sunlight and your body will help make it naturally. Our days were filled with lots of time pool side, and only a little bit of beach time. My daughters are just becoming independent swimmers, and the pool was much more fun for them. We also ate so well. I don’t know if you have ever researched the vacation resorts along the Mayan Riviera, but there are a LOT of options. It was kind of overwhelming to decide. We ended up choosing our resort for two main reasons: 1. that it was kid friendly and 2. because it had really good food. There were five restaurants on the resort, and we ate in all but one which was adults only. Ironically I think it was the least fancy cafeteria-like one that we all liked best. It had so much variety and we could all choose exactly what we wanted. I mostly chose the foods from the Mexican section since I can never get enough Mexican food. I loved that there were bowls of fresh Pico de Gallo, fresh Guacamole, and limes out for every meal. I loved the frijoles at breakfast with fat chunks of sausage at breakfast. And the sautéed nopales cactus at lunch and dinner. On day two or three, as I was going back for seconds, I declared to the family that we would be eating Mexican for the next month at home because I was obsessed. Guess what, dear readers? That means you may be in for the same fate!! We got home on Friday and I resupplied our fridge on Saturday. I filled up the fruit bowl and the produce drawers all the while thinking about Mexican seasonings and how I could make these ingredients into Mexican dinners all week long. 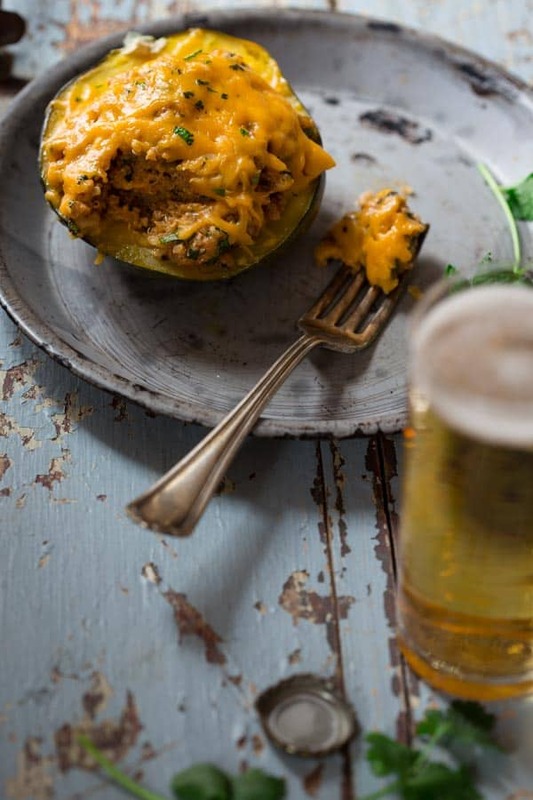 These Mexican Quinoa Stuffed Acorn Squash are super cheesy (hence the name) and super flavorful. I used a similar technique to the Stuffed Mexican Peppers I made last month. I steamed the acorn squash in the microwave, just like the spaghetti squash technique I told you about. Then I filled them with the quinoa mixture and melted the cheese on top. All told they only took 30 minutes to make. And half of that time was just letting the squash and quinoa cook. How easy! Have you ever had beans at breakfast? Have you traveled to Mexico before? Have you had your Vitamin D tested? 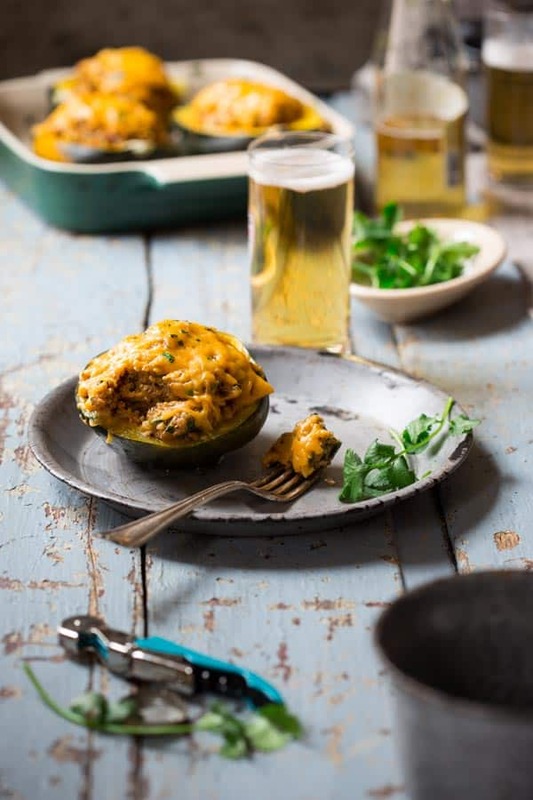 Place acorn squash cut side down in a large microwave safe casserole dish such as a 9 by 13-inch Pyrex lasagna pan. Pour one cup water over the squash. Layer parchment or waxed paper over the squash and then cover the dish entirely with a layer of plastic wrap. Microwave until the squash is tender, about 16 minutes. Remove the baking dish from the microwave with potholders. Avoiding steam, carefully remove plastic and parchment and turn the squash over cut-side up with a spatula. Meanwhile, bring 1 ½ cups water to a boil in a medium saucepan. Add quinoa, return to a simmer, cover and reduce heat to low to maintain a simmer. Cook until the germ bursts open and the quinoa has absorbed the liquid, 15 to 20 minutes. Mix the hot quinoa with scallions, cilantro, half of the cheese, spice blend and salt. Stir until the cheese is melted into the quinoa. Add salsa and yogurt and stir until creamy. Stuff the squash with the quinoa mixture, dividing evenly among the four halves. Top with the remaining cheese. Microwave until the cheese is melted, about 2 ½ to 3 minutes. Okay, first of all–this is incredible!! LOVE IT! And secondly, a trip to Mexico for some Vitamin D is way better than any supplement! Thank you Kristen. And I agree that Mexico is better than a vitamin supplement. Ha ha. Beach, yes to beans at breakfast, yes to Mexico and my Vitamin D is great 🙂 Now, I can not wait to make this squash, it’s my perfect! I think I am more of a beach person than a pool person, though for swimming itself I prefer a pool. Thanks for visiting today Lauren. I love Mexican food – can never get enough! Can’t wait to try this for the family! Anything with beans and cheese is always a winner! These just look….. sooooo yum! 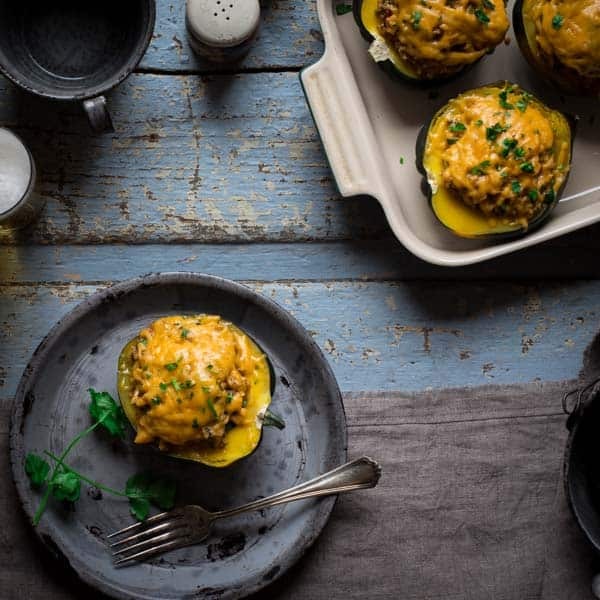 Will definitely make these when squash comes into season! And yes, a trip away beats supplements every time! Ha, ha that reminds me I have to take that dang pill now that I am home. Thanks so much for visiting James. 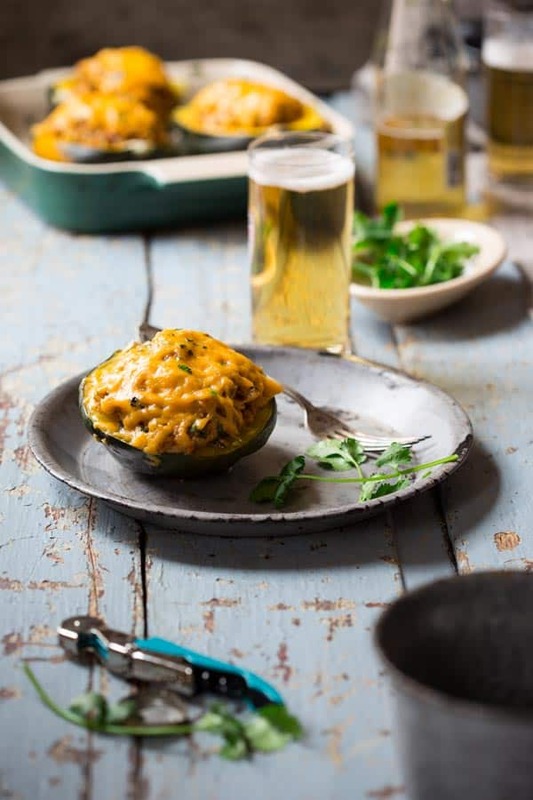 These Mexican stuffed squash look super delicious. I love Mexican flavours too! Thank you Thalia! So nice to hear from you. Have a great day. Thank you Erin. Have a great day! Mexican food is always a hit around here! Can’t wait to give this a try! I hope you like it Jessica! Have a great day. 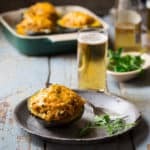 I love stuffed squash, and this looks so delicious! :] That’s awesome that you used Greek yogurt–yay for extra protein! It really helped to make it creamy. I love Greek yogurt. Its a staple around here.